Located in Westfield UTC Mall, David & Sons Fine Jewelers has been awarded over 705 five star Yelp reviews for their high quality engagement rings and low prices. With unbeatable customer service, this San Diego boutique offers a complementary lifetime maintenance package with every affordable diamond jewelry selection you make. A number of customers also love to take advantage of the diamond trade-up program when they are looking to increase the diamond size. With an A+ rating from the BBB, visit David & Sons Fine Jewelers to experience fine jewelry at the best prices. 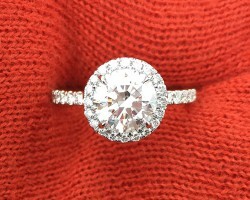 Vanessa Nicole is a master diamond setter, and her studio is rated the #1 engagement ring store in San Diego. She is the bestselling author of ‘The Perfect Custom Engagement Ring’, and has a 5-star rating on every review site. The quality and prices are superb, so you get AMAZING value. Vanessa is a micro pavé expert, and has a proprietary diamond setting technique to make her rings sparkle more than any others. Clients love working directly with the artist. Design the ring of your dreams with Scout Mandolin! 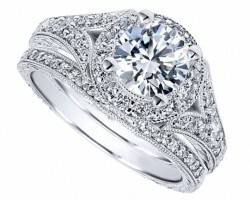 We create custom engagement rings, wedding bands and jewelry. Our quality and customer service is unmatched. Our innovative design process helps our clients capture the essence of their true love and create a truly unique custom ring. We also offer our beautiful Scout Collection for customers who choose to not create a custom ring. We are located in San Diego, California and our Napa Valley showroom is coming soon. Wedding rings, just like your vows, are forever... For the perfect timeless additions to your wedding, Whiteflash Jewelers brings couples an enticing set of engagement rings and wedding bands. Their online gallery is filled with jewelry showcasing character and class. Tie down the knot today with the perfect set of affordable custom wedding rings. 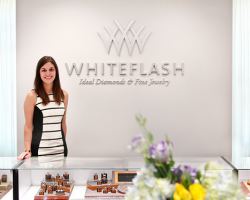 Let Whiteflash complete your love story, visit their online showroom today.